The topic of skin cancer can be confusing at first glance. Melanoma is probably the most well-known type of skin cancer, likely due to its dangers and relatively easy name to remember, but there are multiple forms of skin cancer that are less well-known. In fact, 9,500 people in the U.S are diagnosed with skin cancer every day. The skin is the largest organ of the human body and comes with many complexities. It serves to protect your interior by acting as a shield against the outside world, but that means it can take more damage than most organs. Let’s break down the most common forms of skin cancer and take a deeper dive into understanding the basics of each. The main reason Melanoma is more well known than its more common counterparts is that it is the most severe form of skin cancer. More than 1 million Americans are living with this form of skin cancer today and with estimated 192,310 new cases in 2019. Melanoma kills an estimated 9,320 people in the US every year. Fortunately, it is almost always curable if recognized and treated early. Follow the ABCDE method when monitoring suspected melanomas. Asymmetry— If you were able to fold the mole in half, would both sides align? If not, this is a warning sign for Melanoma. 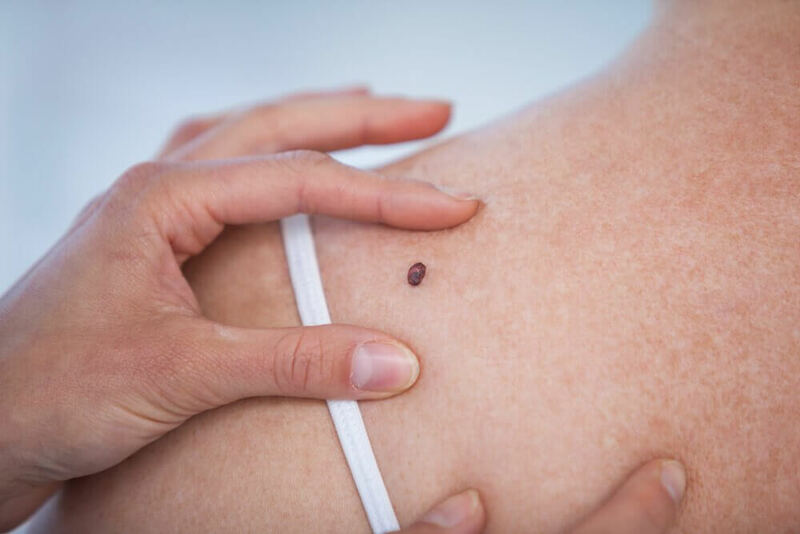 Border—Benign moles are smooth and even around the edges, while melanomas tend to be uneven and chaotic. Color—Most benign moles are one color, so a mole with a variety of colors is another warning sign for melanoma. Diameter—Malignant moles usually have a larger diameter than benign moles. Most are larger than the eraser on a #2 pencil. Evolving—Benign moles will look and stay the same over time; melanomas evolve in shape and size as they progress. If you spot a mole, make sure to keep an eye on its growth. Exposure to sun and a weak immune system affect the risks of Merkel Cell Carcinoma. One of the rarer forms of skin cancer, MCC usually appears as a single and painless spot on sun-exposed skin. MCC is also known as neuroendocrine carcinoma of the skin. This is because cancer occurs in the Merkel cells located at the top of the skin and near nerve endings when Merkel cells grow out of control. This cancer can spread swiftly in the early stages, often to nearby lymph nodes. This is why when the cancer is spotted, other tests must be conducted to see if it has spread to other areas of the body. MCC is the second deadliest form of skin cancer, behind melanoma. Treatment options for Merkel cell include surgery, radiation, chemo, and immunotherapy. New types of Merkel cell treatment are currently being tested in clinical trials. Squamous Cell Carcinoma is the second most common form of skin cancer, behind Basal Cell Carcinoma. Squamous cells are located in the epidermis, the outermost layer of skin, and play a role in lining the skin. SCC can appear as scaly red patches, open sores, warts, elevated growths, and may even crust and bleed. While uncommon, SCC has a very high and serious chance to metastasize if left untreated. 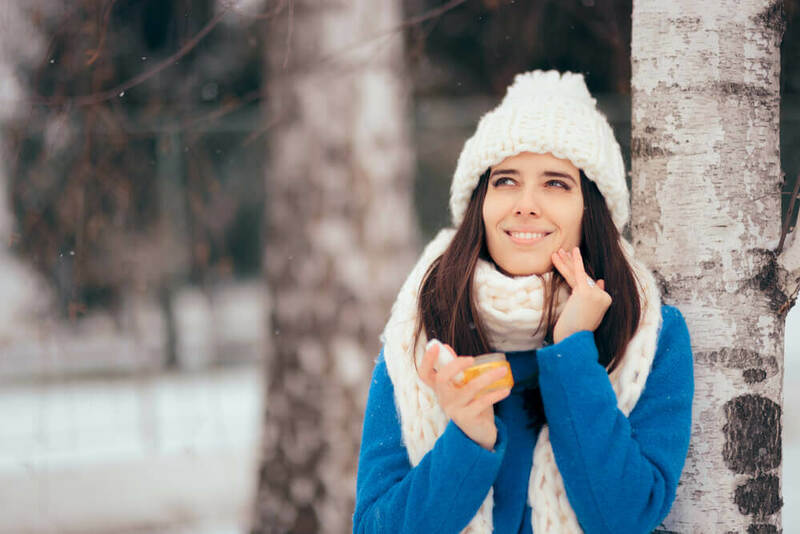 Exposure to UV rays from the sun damages the DNA in the skin cells which can lead to any form of skin cancer and is also the primary cause for SCC. As the name suggests, Basal Cell Carcinoma begins in the basal cells—the cell type responsible for producing new skin cells as old ones die off. The disease shows itself through abnormal and uncontrolled growths or lesions that arise from the deepest layers of the epidermis. BCC often appears as open sores, red patches, pink growths, shiny bumps, or scarring. The disease is often caused by a cumulation of intense and occasional exposure to the sun. Fortunately, this form of skin cancer rarely metastasizes beyond the borders of its original tumor. While this form of skin cancer is rarely life-threatening, all forms of cancer should be taken seriously. BCC can also cause disfigurations if left untreated. Patients with a history of Basal Cell Carcinoma are at an increased risk for redeveloping the skin cancer. Fortunately, Mohs surgery is the most effective removal technique for both Basel Cell Carcinoma and Squamous Cell Carcinoma. Mohs surgery is considered the gold standard because of its high cure rate—over 98 percent. Patients can take comfort knowing that Complete Family Dermatology's Dr. Geoff Basler trained under the world’s leading Mohs surgeon, Dr. Neil Swanson. Furthermore, Dr. Basler was the first dermatologist to have an in-house Mohs laboratory in Southeast Nebraska. No matter the type of cancer or treatment you received, it is essential that patients schedule persistent checkups after removal of any skin cancer. Patients with a history of cancer are more susceptible to redeveloping it than those without. Familiarizing yourself with the characteristics of a potentially cancerous skin development can be very beneficial, but it is no substitute for having regular checkups by a reputable, experienced professional. If you are in need of a checkup and are interested in establishing a regimen of annual visits to a dermatologist near you, please contact our office. With the help and guidance of an experienced medical professional, skin cancer no longer needs to be as scary and confusing as it once was.